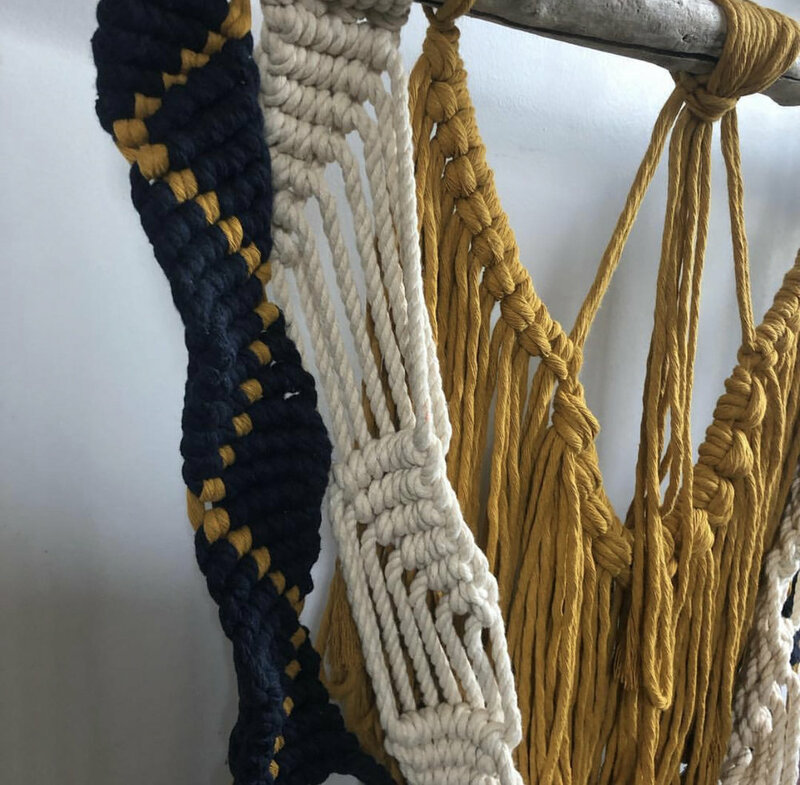 Macrame makers and aspiring admirers this workshop is here to kick it up a notch. 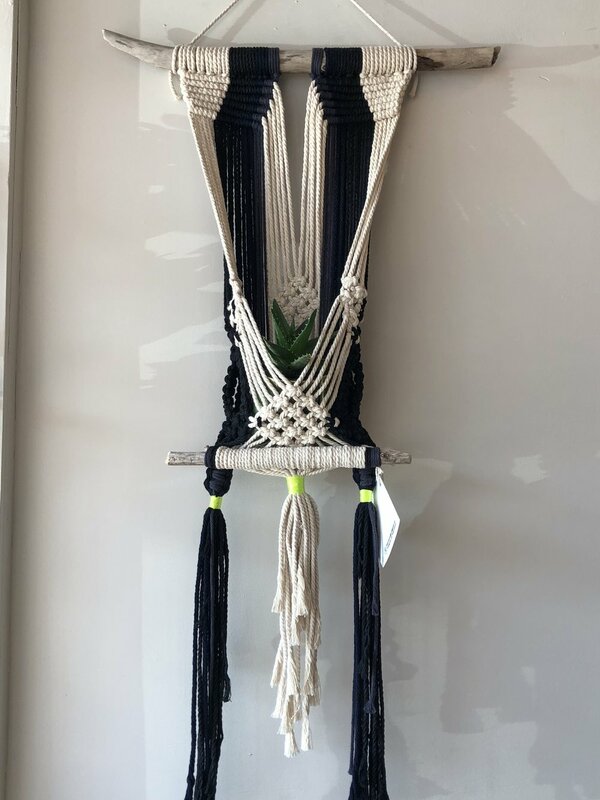 We are happy to host this next level modern macrame workshop “BOLD Wall/Plant Hanger MACRAME Combo”. All beginners welcome because our pace is slow and inclusive and we will be sure everyone leaves with more skills and a completed piece they can be proud of. Opportunities to take new adapted option will be there for those with experience but overall the design will speak for itself. Between color choices, technique, chill vibes, and a great instructor, this workshop is the setting for a quality afternoon. This 3.5 hour workshop can be a great team building or quality time with friends or family. Food and beverage encouraged and your finished project could be your new conversation piece or an amazing thoughtful gift for someone else or your self. Register today. Food and beverage permitted to snack etc. and encouraged! Use of studio looms, all weaving materials and embellishments. Driftwood to hang your finished wall tapestry.